Our old ice cream maker went on the fritz so we were in the market for a new one. 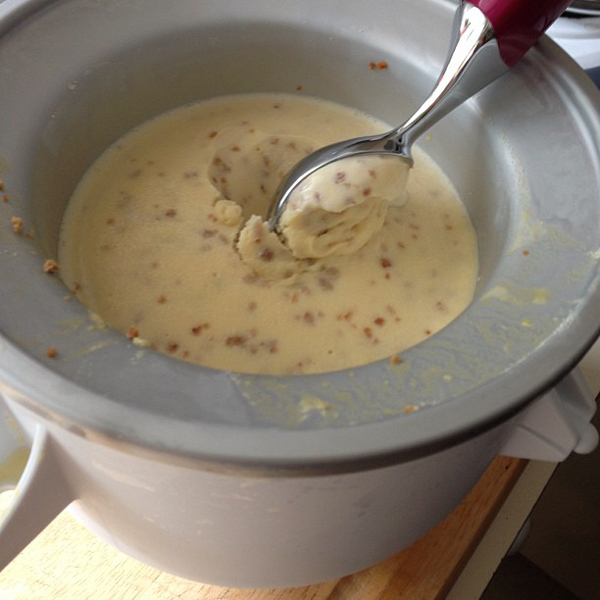 Some friends of mine swear by the Kitchen Aid mixer ice cream attachment. 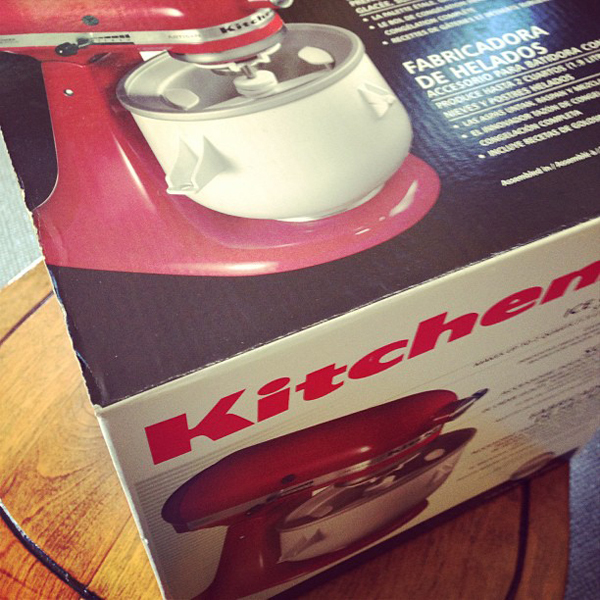 Seeing as how I love my Kitchen Aid mixer, I figured we couldn't go wrong. The very first ice cream we made was a Pennsylvania specialty. Grape Nut. It's just vaniila ice cream with Grape Nut cereal mixed in. It turned out great! I can see it will be very dangerous to have access to ice cream at home whenever we want it. Well, when we remember to put the bowl in the freezer to prep!